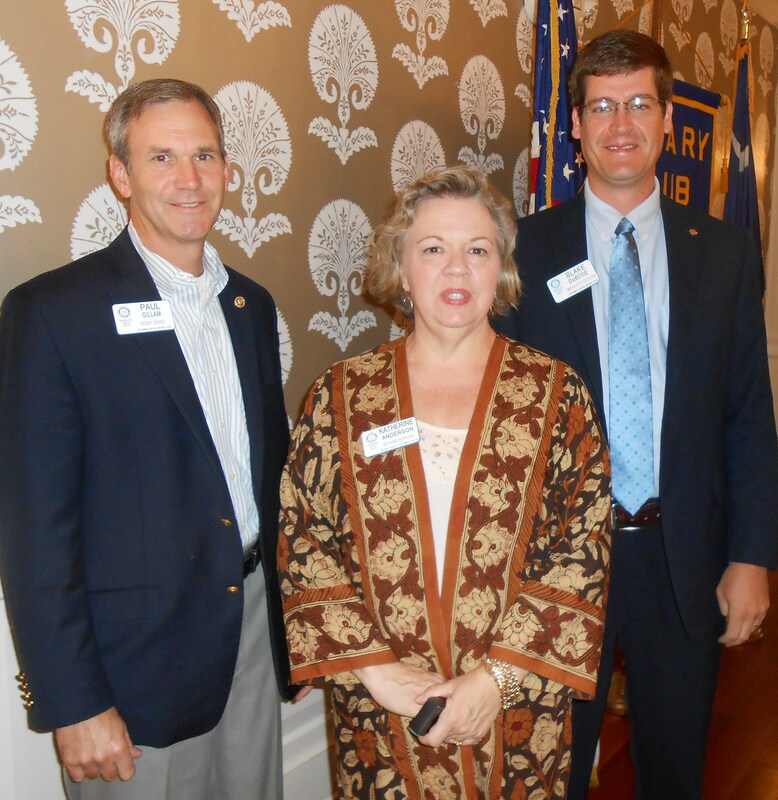 Capital Rotary president Blake DuBose (right) congratulates club members Katherine Anderson and Paul Gillam for their latest donations to The Rotary Foundation, the international service club’s charitable corporation that funds programs for world understanding and peace. Anderson and Gillam have earned designation as Paul Harris Fellow plus-one contributors (signifying a $1,000 initial donation, plus an additional gift of $1,000). Gillam has been a Rotarian for more than 10 years, while Anderson joined the club in 2009.